Barley extract and natural bacteria have been used by pond keepers to clarify murky pond water for many years. However, these efforts were often counterproductive, as the use of whole barley straw bales, pellets and bags of peat moss resulted in rotting bales, floating straw and discolored water. Simply Clear with Barley is the solution. The clarifying power of barely and natural bacteria are suspended in a fast-acting, concentrated liquid formula that is both effective and hassle-free. Phenolic compounds in barley naturally clear pond water. Natural cleaning bacteria have long been used to process dead algae, sludge and fish waste resulting in a clear pond without harsh chemicals. Directions: Shake well, use the dosing cap on the bottle. Initial dose for Spring start up and at the end of the season is 60ml (4 Tbsp.) per 250 gal of pond warter twice a week for 2 weeks. 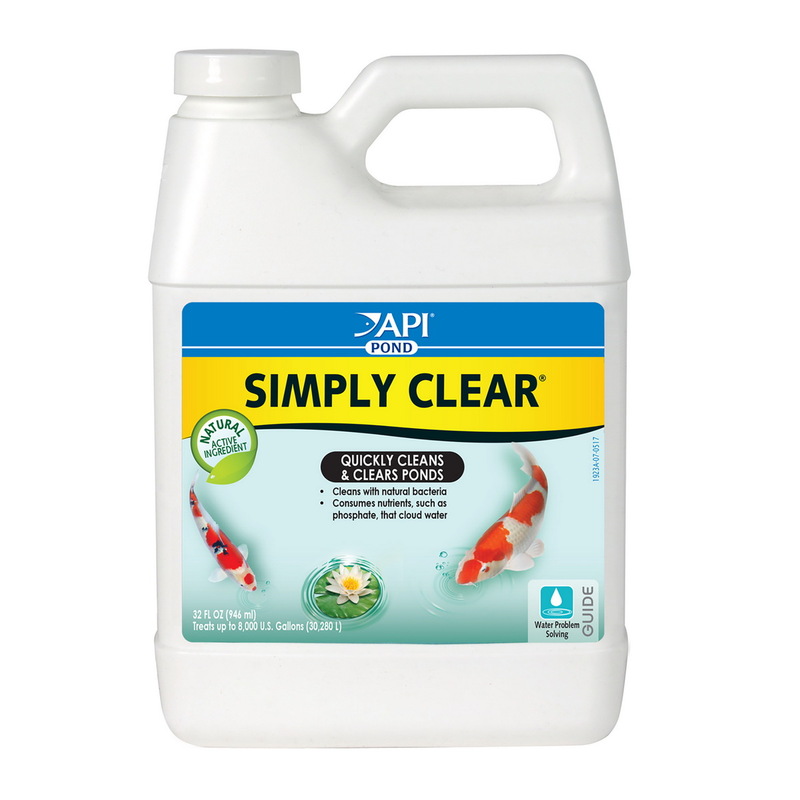 To maintain a clear pond 30 ml (2 Tbsp.) per 250 gal of pond water every 2 weeks.